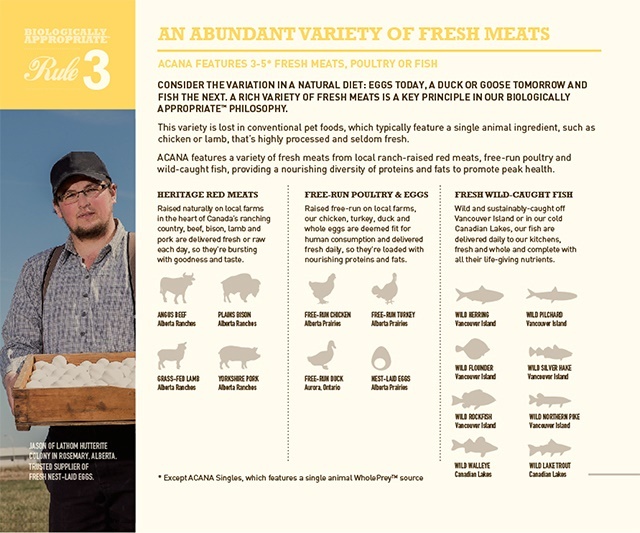 Inspired by our vast fertile prairies, rich soils and pristine lakes, ACANA Wild Prairie features unique regional ingredients delivered fresh from western Canadian farms and waters.Loaded with free-run chicken, turkey, whole nest-laid eggs and wild-caught fish from our cold northern lakes, delivered fresh daily in WholePrey™ ratios, ACANA Wild Prairie is brimming with natural goodness. 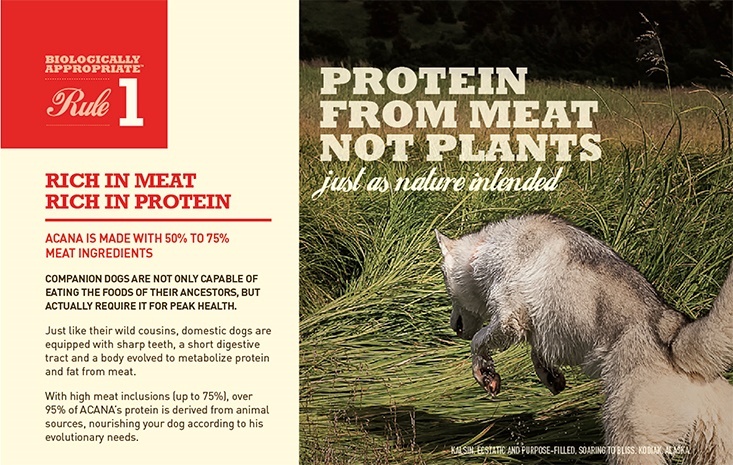 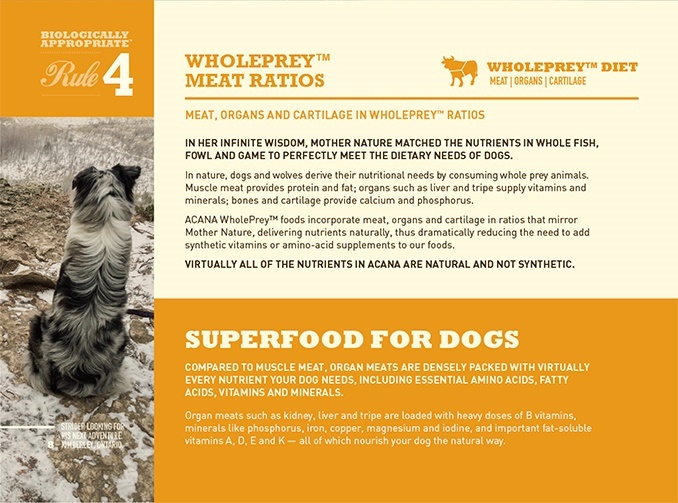 Trusted everywhere, carbohydrate-limited and protein-rich ACANA promotes peak conditioning in all breeds and life stages. 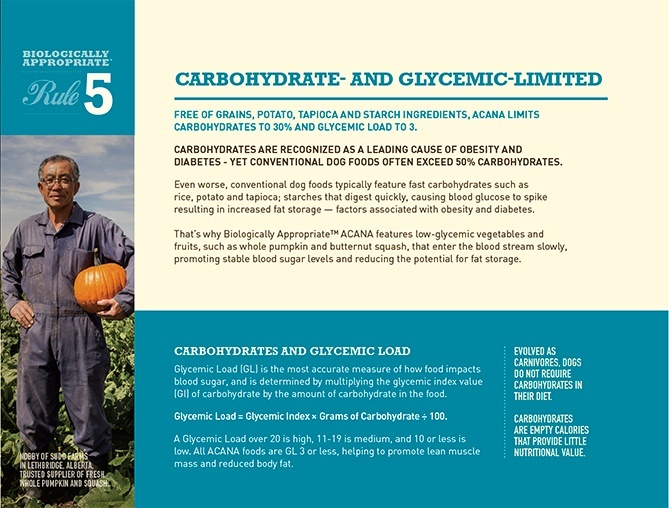 Read our ingredients and we think you’ll agree. 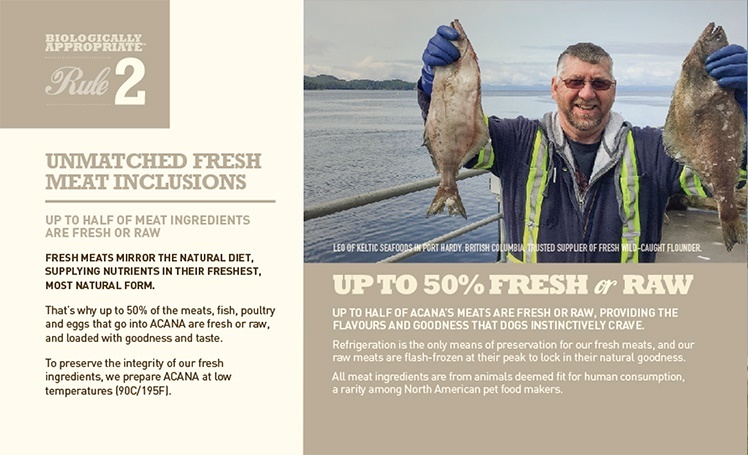 CANADA’S BEST AND FRESHEST INGREDIENTS ACANA Wild Prairie features an unmatched variety of local ingredients that are raised or fished by people we know and trust, deemed “fit for human consumption”, and then delivered to our award-winning NorthStar® kitchens fresh each day!